Everyone needs a “Subscriber Identification Module” or SIM card in order for their mobile phone to work. It carries a unique phone number and can store contact information. You will pay the mobile network who provides your phone number to use it to make calls and send text messages. They don’t tie your number to a device, but to the SIM card. This means that you can take it out and put it in another phone and use it as normal, if you have credit on it. Equally, you can get a new SIM card with a different phone number for the same device. Different devices sometimes need different sizes of SIM card. If you switch devices or transfer networks, you’ll need to get a new one then activate it. 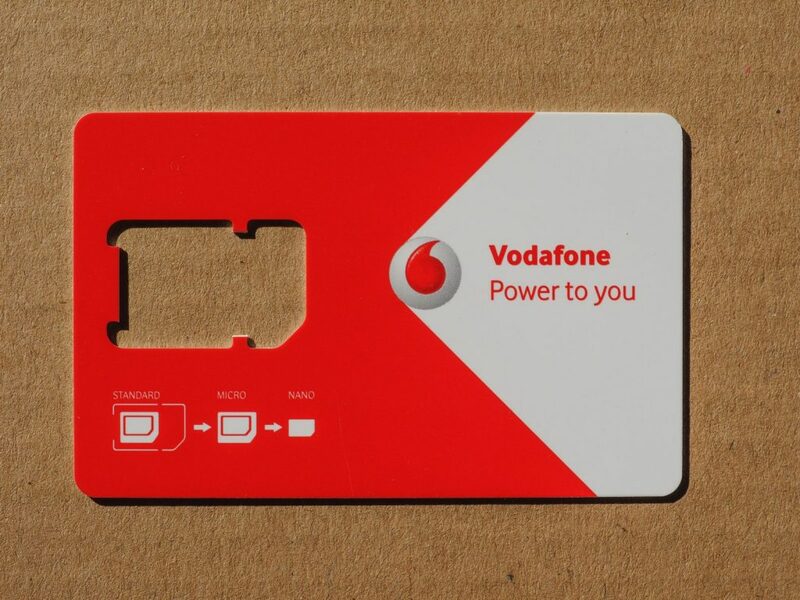 When you buy a brand new handset from Vodafone, they will provide a SIM card along with it. If you already have a phone number you’d like to keep, there is a different process for getting a SIM. A brand new SIM will have its own number and should be ready to use without activation. All you need to do is insert it into the mobile phone. You can search for your device type online or look at the instruction manual to check how to access the SIM card. Generally, you will need to remove the back panel of the phone and the battery. For iPhones, you will need a key to pop out the SIM card drawer in the side of the device. These days all mobile phone providers use multi-SIMs. These include all three SIM sizes (standard, micro, and nano) so you can use the one that fits in your device. Restart the phone and follow any onscreen instructions for setting up the phone. You may receive introductory messages from Vodafone. Replacement SIM cards are different from brand new ones. You can only get a replacement if you request a SIM swap from Vodafone. Reasons to do this include damage, theft, or loss of your old SIM, or if you change devices and your current SIM does not fit in your new phone. When you upgrade your device with Vodafone, normally they will give you a blank multi-SIM too. You can disregard this if your current SIM will fit in the new device. If you do decide to insert the replacement SIM, it will give you instructions for activating it. Usually you will need to dial a number to confirm the activation. Doing this will terminate the previous SIM card, so you will no longer be able to use that one. If you are a Pay As You Go customer, the SIM card will not activate until you top up your credit on it. The reason that some SIMs aren’t activated is so that you can use the old one up until you’re ready to swap in the new one. When you upgrade your phone with Vodafone or request a replacement SIM, they will send a blank one. You will need to activate this to tie your phone number to the SIM, which will then deactivate the old SIM. Keep old SIM cards safe or destroy and dispose of them after you put the new SIM into your phone. It can take up to a full day for new SIMs to activate. In this time, you might see a “No Service” message and be unable to use your phone. This is especially true if Vodafone is transferring your number from another network. 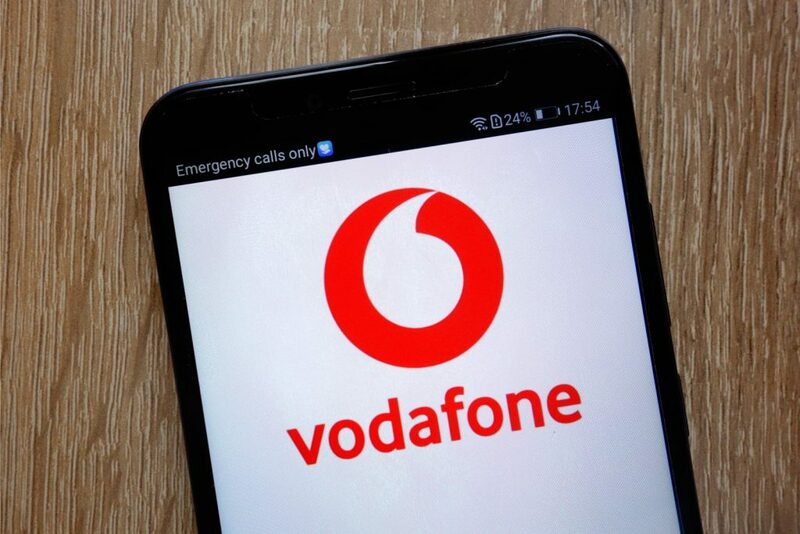 You can try turning the phone off and on again to see if the Vodafone symbol appears. Contact Vodafone if a SIM still won’t work after 24 hours. When you activate a SIM, you should have service by midnight that day. If you still have no service after 24 hours from the time of activation, there must be an issue. Check your e-mail to see if Vodafone sent any information or instructions regarding your SIM activation or customer account. If they do not contact you about it first, then you will need to contact Vodafone. Find out if there is a network error in your area or if the problem is with the SIM card. You can only swap your phone number onto a Vodafone SIM if you order one specifically from them. It won’t work for SIM cards you can buy individually from Vodafone or other retailers because they already have phone numbers assigned to them. If even a brand new SIM with a different number isn’t working, it could be the device. If your old or new handset is from another network provider, it could be locked to them. You will need to contact them to ask them to unlock the device so that you can use a Vodafone SIM card. There may be delays in transferring a number. As a Vodafone customer, you will either pay for your calls and texts as you make them or set up a rolling contract with monthly payments. If you have a Pay As You Go SIM and want to switch to a Pay Monthly plan, you’ll need to contact Vodafone if you want to keep using the phone number on the Pay As You Go SIM. Vodafone should deduct any remaining Pay As You Go credit from your first monthly bill. You will need to re-register with My Vodafone and re-add any family groups. You will also have to set up your voicemail again. The same applies if you decide to swap from Pay Monthly to Pay As You Go on Vodafone. Get in touch with them to request a new or replace SIM card and change your Vodafone payment contract. You can use your old SIM until it stops working, then put in the new one.